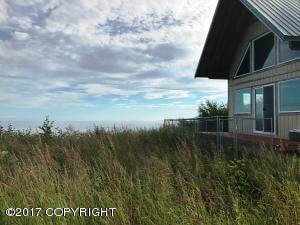 DESCRIPTION: 2+ Acres w/view of Cook Inlet, Denali, Sleeping Lady & Mt Spurr, 960 sf dry cabin, elec close, wired for generator, gray water drain, double SS sink, bath sink, claw foot bathtub, 2 beds in BR 2 in loft, roof pipe w/ cap ready for wood stove. 8x40 lockable connex, firewood, beds, bedding, kitchen ware, RV toilet, misc furniture, lumber & misc bldg. materials included.